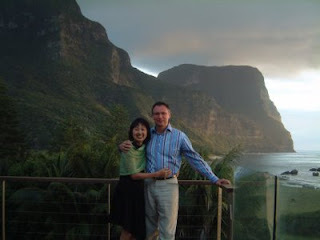 2 hours flying time and 600km East by Dash 8's from Sydney is the World Heritage Site: Lord Howe Island - home to over 130 species of birds, 500 species of fish, and 90 different corals. The island is not a resort island; visitor numbers are strictly limited to 400 and it is one of the cleanest places on earth with no air or sea pollution or litter. 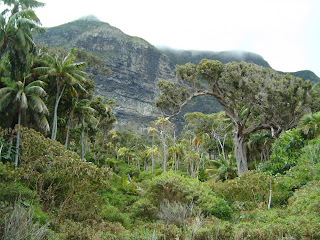 Lord Howe is easily walkable it is 11km long and 2.8 km wide. Neds Beach, a popular favourite, was voted Australia's cleanest beach. No camping is allowed and all accommodation is run by the local population and must be pre-confirmed before booking a flight to the Island. Accommodation runs from self catering cottages, B&B's, guest houses, and a of couple boutique luxury lodges. During our stay we opted for a three night stay at the luxury Capella Lodge isolated from the rest of the isl and with its amazing twin peak views of the 6.4 million year old Mount Lidgbird (777 m) and Mount Gower (875 m) on the southern end of the island. The nine suites have magificent views of the Mountains, lush Kentia palms or aquamarine ocean and reefs.The contemporary suites are a luxurious refuge with light timber floors, white shutters, marine fixtures and a sophisticated beach house feel. The suites have king size beds with a selection of pillows along with a CD player, TV ( 3 channels), DVD player - there is a large library of DVD's in the bar , telephone and room bar. 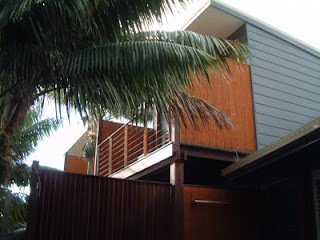 En suites offer a bath and rain shower and premium Australian toiletries. Beach towels, bathrobes and knack sacks are provided as is daily housekeeping and evening turn down service. Capella has guest space for just twenty so you're on a first name basis with staff the first night. There are a total of nine rooms, one suitable for children, and you are offered a gourmet breakfast and three course dinner each day of your stay. 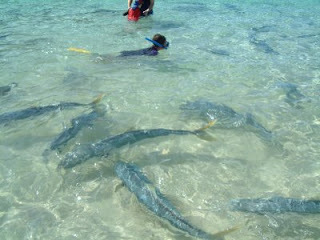 If you dietary issues you must let the lodge know in due course - you are after all 600km out in the ocean! 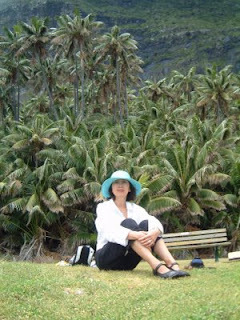 Lunch can be a prepared picnic or you can opt to cook your own lunch on one of the many BBQ's around the island. The restaurant and bar have a great selection of cocktails, wines, and beers. Late night need for a drink - the bar is on an honour system. The lodge offers complimentary wifi, mountain bikes, a motorised golf cart, snorkeling equipment, and kayaks to all guests. You cannot use a mobile phone on the island - there is no service. 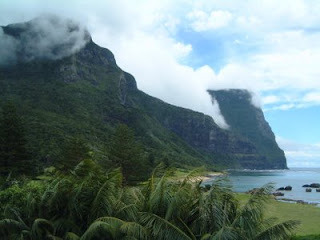 Lord Howe Island - "One of the 100 places to visit before you die"